The young physician who chooses a career on the faculty of a medical school faces challenges in learning faculty administrative procedures and finding the routes to academic development in the institution where he or she works. 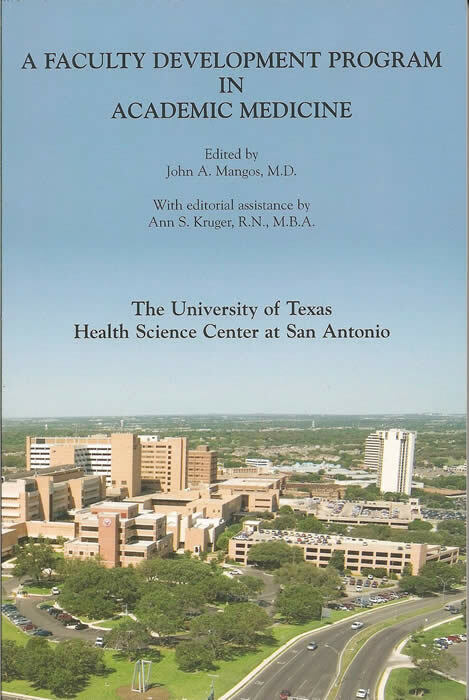 This manual contains chapters by eleven professionals with guidance for the new faculty member. Dr. Mangos places special emphasis on the value of finding a mentor, whether the route is to academic research or teaching. 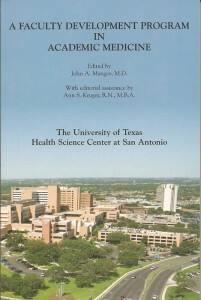 While specific reference is to the University of Texas Health Science Center at San Antonio, the principles described are applicable to all such institutions.